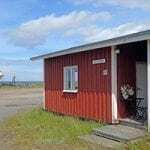 Marjaniemi fisherman’s cottage, a holiday home with electricity available in idyllic Marjaniemi in Hailuoto from May to October. 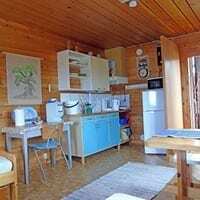 The holiday home is close to the seashore in the vicinity of old fisherman’s cottages, by the fishing port. Approximately 200 metres from the waterline. 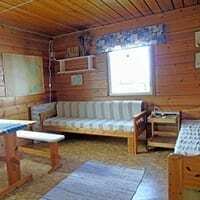 Pillows and blankets in the cottage, however, bedlinen available for an extra fee or you may prefer to bring your own. Stove, fridge (freezer) and coffee-maker. Domestic water needs to be carried to the cottage, from e.g. fish process plant tap. Marjaniemi services, i.e. 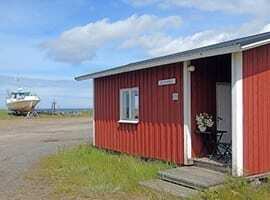 restaurant, artisan shop, fish processing plant, guest harbour and the Nature exhibition within walking distance. Available also for a longer-term lease contract.